“The number of passports I have that is my business” that was the response of Leader of the Opposition Dr. Denzil Douglas when questioned by a reporter as to how many passports he currently holds. The former Prime Minister seemed oblivious to conflict of interests and national loyalty multiple passports could imply. 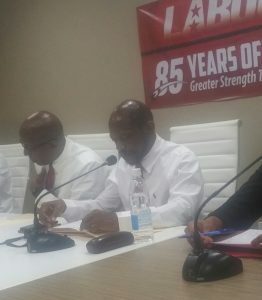 Dr. Douglas was at a monthly press conference organized by the St. Kitts-Nevis Labour Party (SKNLP) where he was questioned. In response he also challenged the rationale of the Attorney General Vincent Byron to test his validity in Parliament after alleging he is the holder of a diplomatic passport from Dominica. 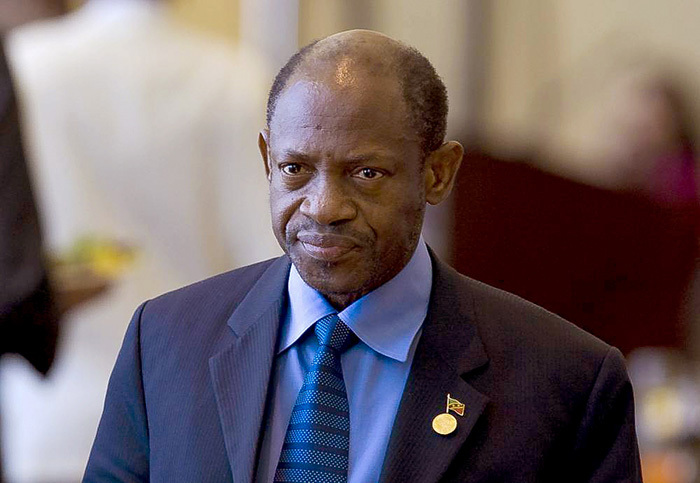 He further described the court action taken as unfortunate and that Prime Minister Dr. Timothy Harris was embarrassed having failed to resolve the issue by offering Douglas a diplomatic passport instead of him having to get one from Dominica. Dr. Douglas also disclosed that he was offered three diplomatic passports from colleagues around the region. The former Prime Minister however continue to state that he does not have citizenship of another country, but indicated that no allegiance is given when a diplomatic passport is issued. He said, “My understanding is once there is a issuance of a diplomatic passport there is no need for any allegiance to be given to any country. “It is bogus and fake they are claiming that I have a second citizenship, they know that I do not have a second citizenship. It is wasting peoples time and wasting tax payers money and it is trying to take up our time and so I shall leave it, “Dr. Douglas said.